Promotion runs from 16-24th March 2019, 11.59pm (GMT). USE CODE : LUCKY30 when checkout. Free Normal Lens Case with each pair. This promotion cannot be used with other discount codes. NO adjustment will be made to previous purchases, if coupon code is not input during checkout. 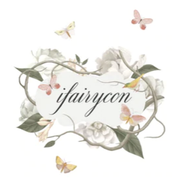 Ifairycon reserves the right to change, amend, delete or add to the activity terms and conditions without prior notice at any time.